Atrocity. Civil war. Growing up in a world filled with horrors we cannot imagine. Living with no hope of a better future. These things break people. Broken people are dangerous. They break more things. In the wake of the Paris attacks, in the midst of the pain, anger, and incomprehension we are all feeling, I hope we can somehow cling to the truth that the only way to stop this cycle of violence is to fix things, to mend broken people. We need not be naive; bloodshed will no doubt be necessary to create a space in which this work can begin. But let us not make bloodshed and destruction our only goal. We all want to destroy ISIS and stop terrorism. To do so, we must all work together to try to heal the broken people of this world, and to protect the innocent from the sharp edges that would break them. My heart goes out to everyone in Paris. Vive la France. I read much more history than historical fiction, so I thought I would share my favorite history books. I have endeavored to pick books that are serious works of history introducing new ways of understanding old questions, and which are at the same time entertaining reads. As the list makes clear, my preference in history tends towards works that explore the mentalities of the past, the unique ways that our ancestors understood their world. Let me know your favorites. I’m always looking for another great book to read! 1) The Great Cat Massacre by Robert Darnton – What is so funny about a massacre of cats? That question provides the starting point for a series of fascinating essays that explore the mindset of the seventeenth and eighteenth centuries. 2) Postwar by Tony Judt – Postwar explores European history after World War II with both stunning breadth and surprising depth. A mind-bogglingly well-researched work that provides surprising facts, keen insights, and powerful arguments on nearly every page. It is truly an incredible achievement. 3) Peasants into Frenchmen by Eugen Weber – As late as 1870, French was still a second language for over half of the people of France, most of whom were peasants whose daily lives were defined by superstition, misery, and fear of dangers such as wolves, fires, and hunger. Weber’s book is an intriguing exploration of the creation of the modern French people, which makes clear just how new France really is. 4) The Return of Martin Guerre by Natalie Zemon Davis and The Cheese and the Worms by Carlo Ginzburg – Both of these books are based on the trial records of the Inquisition, and they provide a fascinating glimpse into peasant life of the sixteenth century. The Return of Martin Guerre tells the incredible true story of Arnaud du Tilh, a crafty peasant who, after being mistaken for the absent Martin Guerre, takes over the missing man’s house, inheritance, and wife. The Cheese and the Worms delves into the extraordinary cosmology of Dominico Scondella, known as Menocchio, a miller from the Veneto who believed that the universe was like cheese, and the angels like worms in that cheese. 5) ‘Exterminate All the Brutes’ by Sven Lindqvist – ‘Exterminate All the Brutes’ introduces us to men like Captain Paul Voulet and Captain Rom – the real-life equivalents of Joseph Conrad’s Captain Kurtz. Lindqvist’s dark portrayal of the European colonial project in Africa is every bit as brilliant a read as Conrad’s Heart of Darkness, but even more shocking because it is all true. 6) Life of an Unknown by Alain Corbin – Corbin, who is perhaps my favorite historian, is known for his explorations of the texture of the past – the way it sounded and smelled. Here, he sets himself a novel task. He picks a person – Louis-François Pinagot – at random from a town register, and then sets out to recreate the life of this unknown clog-maker. 7) The Making of the English Working Class by E.P. Thompson – Class is not simply a relationship to the means of production, it is a relationship between different groups of people, and thus it is a cultural fact as much as it is an economic one. Starting with this thesis – which was quite revolutionary in its day – Thompson proceeds to brilliantly reconstruct the “secret history” of the English working class. 8) The Death of Woman Wang by Jonathan Spence – A work of “imaginative” history, Spence’s book about rural China in the 17th century walks a fine line between history and fiction. In the titular essay, he blends fiction and history to craft a powerful, haunting portrait of the last days of Woman Wang. 9) Mad Travelers by Ian Hacking – One day in the 1890s, Albert failed to arrive to work. Seized by an irresistible urge to travel, he set out on a journey that would take him from Bordeaux all the way to Russia. He was a fugueur – a mad traveler. Through an engaging exploration of disorders such as “mad travelling” and hysteria, Hacking provides keen insight into how psychologists classify – and thereby create, in a sense – mental illnesses. 10) Mayflower by Nathaniel Philbrick – An often surprising look at the English colonization of America, Mayflower reads with the pace and verve of the best historical fiction. A list of ten is not nearly long enough to include all the history books that I have enjoyed. I would be remiss if I did not single out the work of Sir Steven Runciman, whose The Fall of Constantinople inspired me to write my first novel, and of Eric Hobsbawm, who has written with clarity and insight about a dizzying array of topics. For an overview of modern European history, I do not think you can do better than his four part series: The Age of Revolution, The Age of Capital, The Age of Empire, and The Age of Extremes. Two of my favorite history books failed to make this list because while they are well written, they are also a bit dense, more concerned with making academic arguments than appealing to a mass audience. The Civilizing Process by Norbert Elias is a groundbreaking sociological history of European manners across the ages. (In the Middle Ages, it was perfectly acceptable to wipe your hands “clean” on a dog during dinner, but it was considered uncouth to spit across the table.) The Great Divergence by Kenneth Pomeranz offers a compelling argument for why Europe – a region that was arguably far behind China in the fifteenth century – went on to become the dominant power in the world. Pomeranz argues that, ironically, it was the West’s very backwardness that led to its eventual preeminence. SIEGE – Coming March 2010! 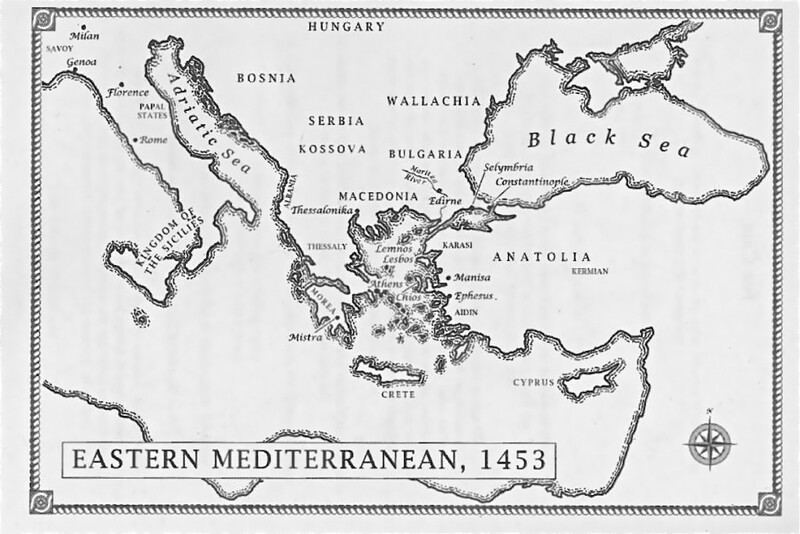 The year is 1453. 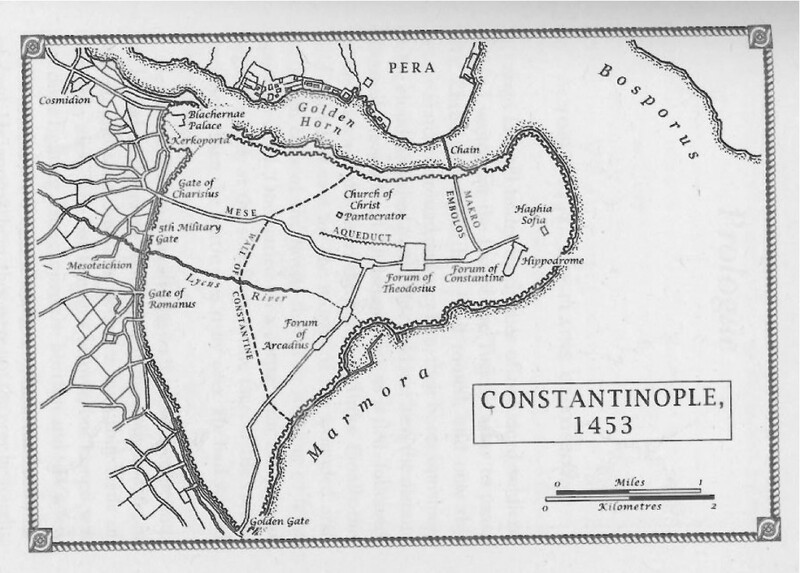 For more than a thousand years the mighty walls of Constantinople have protected the capital of the Eastern Roman Empire, the furthest outpost of Christianity. But now endless ranks of Turkish warriors cover the plains before them, their massive cannons trained on the ramparts. It is the most fearsome force the world has ever seen. No European army will help: the last crusaders were cut to pieces by the Turks on the plains of Kosovo. Constantinople is on its own. And treachery is in the air. 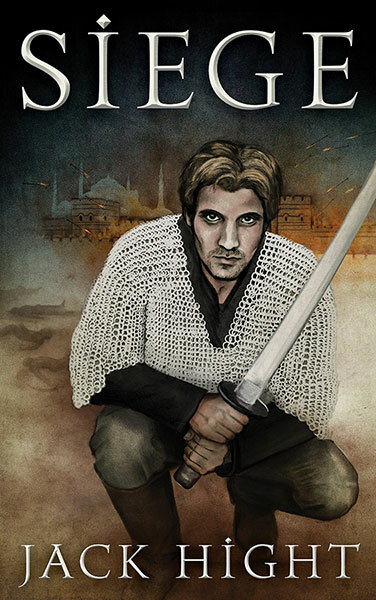 Three people will struggle to determine the fate of an empire: the young Turkish Sultan, returned from exile and desperate to prove his greatness; a stubborn Byzantine princess, sworn to protect her city; and a mercenary captain with a personal score to settle. But of them, it is the hardened soldier Giovanni Longo who will face the worst choice: just as he prepares to make his final stand, he finds he has something to live for after all.